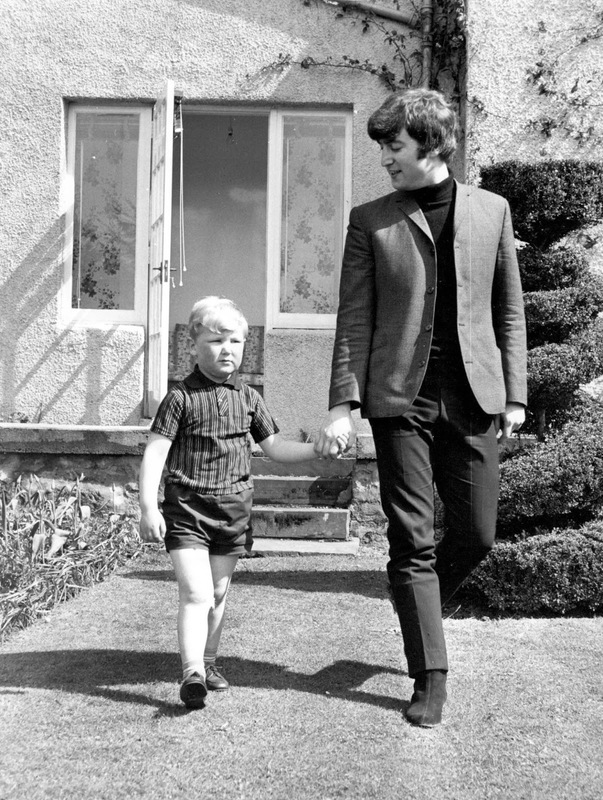 Cute photo of John with one of his relatives in Scotland on April 30, 1964. Reminder: THIS PHOTO COMES FROM IMAGECOLLECT AND SO I PAID FOR IT TO BE ON THIS BLOG. IT IS AGAINST THE LAW FOR YOU TO SHARE IT ON FACEBOOK, FLICKR, TUMBLR, ETC. ETC. ACCORDING TO THE AGREEMENT I SIGNED WITH IMAGECOLLECT. JUST ENJOY THE PHOTO FOR YOURSELF. The Beatles had played in Edinburgh the night before. They played in Glasgow on the 30th, so the photo must have been taken before they drove to Glasgow. Sara, thanks for buying this photo, so that we may see it! It's a beautiful one! And thanks Jonathan for the information! John me a kid named John Lennon in Toronto 1966. I am very sure that this is a cousin or nephew of John's. It`s definitely not the young Toronto John Lennon, Sara. There is a pic of him here on MTBFR. From "The Scotsman", 11th Dec 2014. 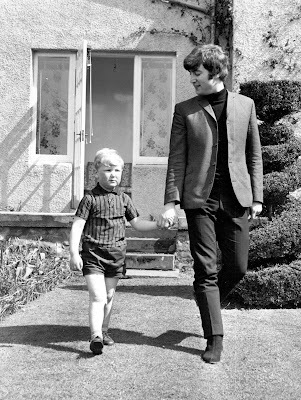 No Kennedy is right - it was just a child staying at or near the hotel who happened to be called John Lennon. Where did you get this information? As Jonathan posted above, John stayed with his cousin, Stan Parks and was seen with family members. Where did you find this new information? new information Sara? ...it's pretty old info ,and i'm sorry i don't remember which magazine the article was posted. But please find just ONE other article, that names this kid as a relation to John. I found the information. This IS the same boy that John met in Toronto 2 years later and not a family member if you believe this article. I have to say that I saw the photo in a Beatles documentary on television, and they claimed it was John with Julian! We might not be 100% sure if it is a random kid named John Lennon or a distant relative of John's, but I think we ALL agree that it is NOT Julian!